The Champions of the Flyway bird race is staged as part of the Eilat Bird Festival by The Society for the Protection of Nature in Israel (BirdLife’s national Partner in Israel) and is a BirdLife International Migratory Birds & Flyways Programme initiative. 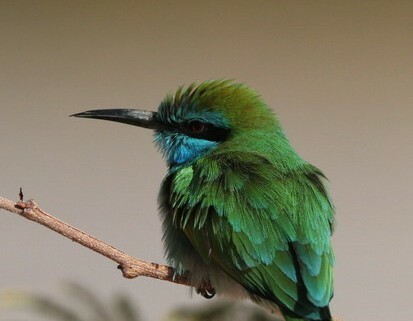 This year, the Eilat Birds Festival takes place March 17-24, 2019. For more information and booking, see www.eilatbirdsfestival.com. Eilat is well known in birders’ circles as an excellent birding destination. Its strategic location at the tip of the Red Sea makes it a crucial stopover site for millions of birds on their way to their northern breeding grounds. During late March and early April migration is in full swing and dozens of species are at the peak of their passage. Late March marks the biggest wave in Israel’s awesome spring migration and the variety of species encountered daily can be overwhelming. 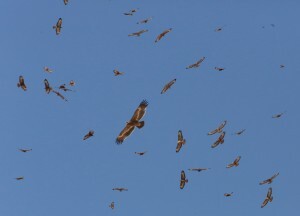 The Eilat Mountains create a natural funnel for thousands of soaring birds. Every day, Black and White Storks, Steppe Eagles, Black Kites, Steppe Buzzards and 20 more species of raptors migrate over the mountains and up the valley. The salt pools and reservoirs near Eilat attract many species of waterfowl. Herons, crakes, rails and large numbers of waders are ever present. The fertile agricultural areas near by host thousands of other species including pipits, wagtails, wheatears and shrikes. The picturesque wadis and canyons that surround Eilat offer a sparse cover of desert bushes and shrubs for tired migrants to rest in and where memorable birds can often be found in the most unexpected places. Besides the sheer numbers of birds and impressive migration spectacles, birding Eilat during spring migration is a real thrill as there is always the chance of “hitting it big” with an extreme rarity. More than 20 firsts for the West Palearctic have been found in Eilat over the years. Migrants set the tone during late March but this is also a great period to observe the local resident species which are at the peak of their breeding cycles then. Seven species of larks, four wheatears and five sandgrouse can be found without difficulty, and a host of common residents like Little Green Bee-eaters, Namaqua Dove and Palestine Sunbirds are also frequently encountered. All this makes for an incredible “playing field” for the Champions of the Flyway Bird Race. 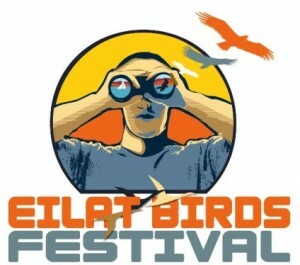 The 2017 Champions of the Flyway teams will benefit from the fact that the Eilat Birds Festival takes place the week before the race (19-29 March). Most contestants will arrive during festival week and join dozens of other birders combing the desert. The Eilat Birding Festival is probably the best value package for birding Eilat available today. The IOC is still taking festival bookings and there are still places on most tours. So please do check our website for more details: www.eilatbirdsfestival.com. Download the Champions of the Flyway 2015 checklist totals.